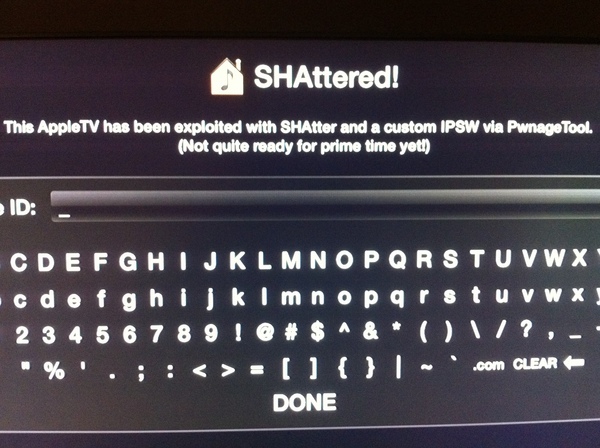 Well-known jaikbreaker MuscleNerd has just tweeted that he has officially jailbroken Apple’s latest iteration of the Apple TV using the SHAtter exploit. The newly shipped device was recently discovered to have a version of iOS 4.1 floating around on Apple servers. 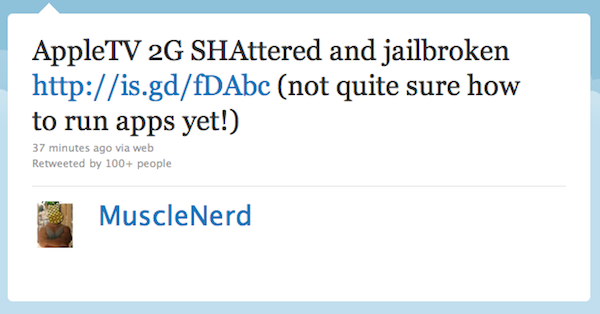 While the tweet also noted that jailbreak isn’t ready for a public release, this definitely bodes well for getting a jailbroken iOS up and running on the device, at least by the time Apple releases the Apple TV version of iOS 4.1 to users. MuscleNerd also notes that he is “not quite sure how to run apps yet!”. The tweet was accompanied by the pic above. Previous Entry: What are the Fastest Android Browsers?